For 2013-14, I can’t help but be hopeful for big things. A new conference that will provide new rivalries, new teams coming to Oxford and new barns to visit. Today, we give you our 3 wishes for the new season that has us thinking big. Be sure to comment below with your wish list items or hit us up on Facebook or Twitter by using the links above. There isn’t much more that I like seeing out of the RedHawks than crushing Ohio State. It will be very important for this young team to gel in the Exhibition game against Windsor on October 5th. Miami will – as usual – have all it can handle with OSU on October 11 in Columbus and October 12 in Oxford. It will be nice to have the home and home series back with Ohio State even though they have joined the Big Ten Hockey Conference. But a series is just a series when you’re not in the same conference any more. With that said, don’t expect a walk in the park on opening weekend. Following the Ohio State series is what may be the biggest series of the season in week 2, as Miami welcomes North Dakota to Oxford for just the third time ever. The first game of the new National Collegiate Hockey Conference will be on national television on CBS Sports Network, and Miami will look for its first ever win against North Dakota during the series in Steve Cady Arena. Miami has lost 3-0 and 3-2 to North Dakota in Oxford and tied them 5-5 in Grand Forks just a few years ago. It will be important to gain at least a split in the series that should match up 2 top 10 teams in the first month of the season. Enrico Blasi comes into the season with a record of 311-196-53, good for 71st all time in NCAA wins. We all know it seems to happen around the middle of the year. Perhaps this is why Miami scheduled a game against the US National Team Development Program on New Year’s Eve instead of a tournament trip to play games that count. The game will be in Oxford, so there won’t be any extended travel, and the game will be a nice bridge to keep the team fresh between NCHC games against Denver on December 6 and 7 and the second half opener against Western Michigan in Kalamazoo on January 10 and 11. For year’s we’ve been complaining about the Swoon, and with good reason. In 2011-12, the Swoon came pretty early with an overtime loss to Colgate, 2 losses at Ferris State and another 2 losses to Lake Superior State in Oxford – all of which came in October. At the end of the year, Miami would go on to win 9 out of their last 10, before losing to UMass-Lowell in the NCAA East Regional. In 2012-13, the Swoon hit in December and continued into early January. 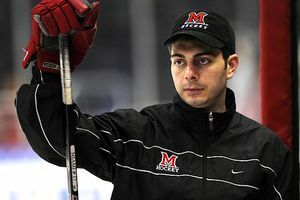 Losses to LSSU and Ohio State, a 1 goal performance in the Three Rivers Classic (1-0 win against OSU and 1-0 loss to Robert Morris) finished 2012 and then Miami opened 2013 with a loss and shootout win in Northern Michigan, and another 1-0 loss at Wisconsin. The story repeats itself once again as the Hawks got hot down the stretch and ended up winning the final CCHA Regular Season Championship. We could go back and back and back and just about every year find a stretch such as the above. It always turns out okay for the Hawks, as Enrico Blasi has led the Hawks to 8 straight seasons with at least 23 wins, all of which also led to NCAA Tournament appearances. This was a foregone conclusion with this wish list, right? While many think that a regular season championship and tournament championship are possibilities in the first year of the NCHC, those championships are small potatoes compared to what this team has the potential to do. I’m certainly not going to be upset if we win one or the other, but these RedHawks have a real shot at greatness. With a quick glance down the roster, you’ll find just 2 seniors and 8 juniors including a candidate for the Hobey Baker Memorial Award in Austin Czarnik. The 11 Sophomores are part of what may become the best recruiting class that Miami has ever had, and the Freshmen are arguably the second best class ever, at least on paper. The defense may have a little work to do after losing seniors Joe Hartman and Steven Spinell – guys who played a combined 307 games as RedHawks. However, replacing them are 3 great recruits: 2 brothers of current/former players (Matt Joyaux, brother of sophomore Chris, and Johnny Wingels, brother of former Miamian and current San Jose Shark Tommy) and one of the more highly regarded defensive recruits in the country in Trevor Hamilton. The defense was the second best in the country last year only allowing 1.74 goals a game over 42 games, so the new guys will certainly have big skates to fill. But… Losing those 2 star defensemen isn’t all bad when you look who is in net for Miami. Behind the blue liners are not just one, but 2 goalies in the top 10 in the NCAA. Ryan McKay was statistically the 2nd best goalie in the country with a ridiculous 1.39 goals against average and a .946 save percentage – both numbers just whispers away from the number 1 spot. This team is going to be good. How good? Well, I can’t predict the future. But with a new conference and a bunch of unknown foes, who says the RedHawks can’t take advantage of the unfamiliarity, run off a bunch of wins, gain the confidence they need to roll off 4 all-important season-ending wins and take home the NCAA Championship? There’s only one thing that Miami hasn’t done, and that’s win the last game of the season and hoist THAT trophy. 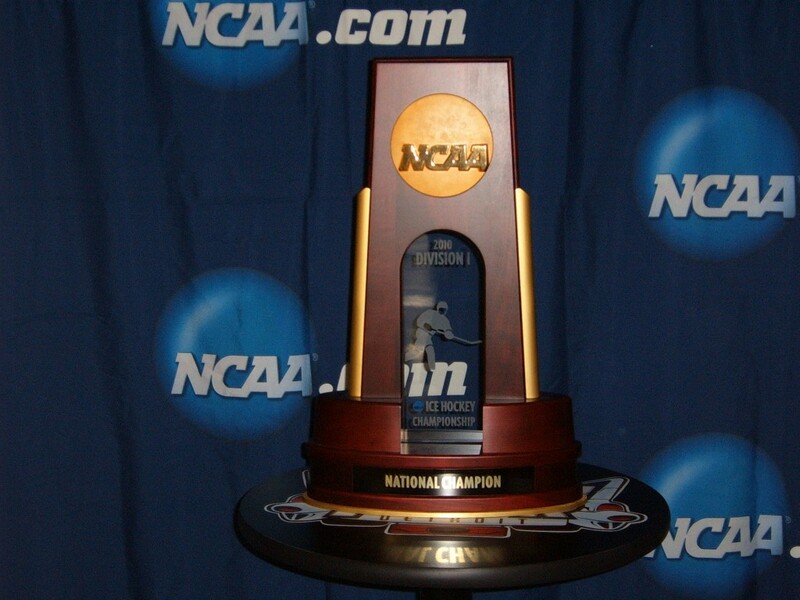 This year, more than ever, the RedHawks have all the pieces to take the Frozen Four by storm and win it all. We start the wild ride on October 11th. See you there!